Does Your Website Enable You to Grow Beyond Your Potential? The Basics: What is Inbound Marketing? You're a marketer, or a business owner, and you're trying to boost sales, or increase your digital presence, or otherwise grow your business. Maybe you've heard the term inbound marketing, or content marketing, but you're leery of buzzwords, and you don't want to waste your time on a passing fad. Maybe you've even tried your hand at some of the techniques that go along with the inbound approach, like running a blog or increasing your social media presence. In the digital world we live in, it’s no wonder more and more business are turning to digital marketing initiatives to meet their bottom line. When it comes to your digital presence, simply being online isn’t enough any more. You have to find marketing strategies that match the online behavior of your ideal buyers. In 2006, HubSpot coined the term “inbound marketing,” which broadly refers to a means of drawing in prospective customers with targeted, relevant content. Inbound and content marketing are terms that are often used interchangeably, but they both reflect the same fundamental digital realities: customers don't want to be sold to, they want to be educated. They want businesses to add value for them even before they've taken the step of purchasing a product or ordering a service. A successful Inbound Marketing Strategy seeks to find ways to provide that value, whether that's in form of blog posts or free consultations. Traditional outbound techniques can still bring in business, but the reason you've been hearing so much about inbound lately is that outbound sales in isolation are no longer enough for most businesses. 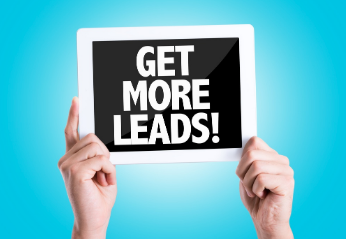 By what exactly are the advantages of going inbound, and how does it help businesses attract relevant visitors and convert them into leads? Now, at this point you might be thinking that you don't need inbound marketing, or that you don't need content marketing more broadly. Conversely, you might be finding that there are just too many possible marketing strategies out there, and you're struggling to choose the right one to meet your business goals. Are you seeing good traffic metrics for your site, but not seeing those visits convert to sales? Or have you recently seen a decline in website visitors and want to see those numbers increase to their old level? Or maybe your numbers are fine, but you’re looking for growth? Whatever your specific situation, there are so many marketing strategies out there that it can be hard to sift through them all in order to find the one, or the combination of ones, that’s right for your company. Well, help is on the way. In this section, we'll aim to define, then briefly compare and contrast, two of those strategies. Those strategies are content marketing and Pay-Per-Click (PPC). Before we dive in for a more detailed view of these options and how they can interact for additional impact, let’s start with a quick definition of terms. Content marketing is defined as: “marketing that tries to attract customers by distributing informational content potentially useful to the target audience, rather than by advertising products and services in the traditional way.” (Dictionary.com). This is a growing field within the marketing world, with good reason, as it allows you to develop a relationship with your customers as a trusted resource and partner. We went into greater depth on content marketing in a recent blog post here. Content marketing allows you to nurture this relationship with existing and new customers alike by creating informative content that brings them back to your website because they see it as a resource. This fosters interactions, which lead to conversions. You'll notice that this sounds a lot like how we described inbound marketing above. There's a good reason for that: the two ideas are closely linked, and when it comes to things like blogging and content creation they can be used interchangeably. Still, you may have heard it contrasted with PPC in the past, so we'll spend this section talking about it in its own terms. Pay-per-click, better known as PPC, is defined as: “a system used to set prices for online advertisements on a search engine or other website, by which the advertiser pays a small fee to the website publisher each time a user clicks on the advertisement.” (Dictionary.com). You've undoubtedly seen PPC ads when you've used a search engine like Google (I’ll be lumping all search engines under this universal term for brevity). At the top of a page of search results, you’ll generally see a small number of paid ads. These are there as a result of PPC: the company being advertised pays Google each time a visitor clicks their ad. PPC campaigns are increasingly showing up on social media platforms as well. Now that you have the definitions, the question remains - which marketing method is right for your company? As briefly described above, PPC involves paying a search engine such as Google to display your ad on their website. Each time someone clicks your ad, you are billed a small fee. Much of the strategy in this method revolves around keyword use. The more specific keywords you use, the better targeted your ad will be, translating into the right people seeing your ad and clicking through to your website. With PPC marketing, you can increase your visibility, at the cost of time spent researching keywords, ad placement strategies, analyzing metrics, and adjusting your preferences with each individual search engine. This strategy can often become expensive fairly quickly. Additionally, many savvy internet users have browser plugins that block these ads from even appearing or they prefer organic search results which are driven largely by our next marketing strategy - content marketing. Content marketing, on the other hand, works by attracting customers through timely, industry-specific content. With this strategy, it’s all about adding a value proposition for your customer, in this case useful content, to keep them coming back for more. You want them to view you and your business as a trusted, reliable resource. There are a variety of content channels available: blogs, vlogs, ebooks, video, and email newsletters for starters. Each of these plays a role in helping you create the engaging content and feed the interactions that transform a first time visitor to your website into a loyal, repeat customer. Creating fresh, inspiring content on a regular basis will also benefit your website’s SEO, or Search Engine Optimization. This in turn improves your ranking in the organic search results on Google. According to MarTech, 70-80% of search engine users are only focusing on the organic results. With better SEO, more searchers are bound to find you. Decision Time - PPC? Or Content Marketing? Now that you have a handle on these two competing, yet complimentary marketing options, the question remains - which marketing method is right for your company? The truth is, both are viable marketing techniques. The rest of the truth is that no amount of money spent driving clicks to your website is worth much if you don’t have quality content for visitors to see once they get there. Therefore, the best bang for your buck is to start building that trust. Engage your customers and build that sense of trust within your industry. How? By creating high quality, engaging, topical, and even inspiring content. Then maybe as your company begins to see the associated growth of clients who love you and tell all their friends about you, it will be time to consider using PPC to drive even more customer eyeballs to that storehouse of knowledge you’ve created. According to industry leader HubSpot, “Paid ad campaigns present an effective marketing channel when used strategically and in sync with other initiatives” (emphasis mine). PPC has the potential to drive new eyeballs to your website. Without a high quality, informative, trust-inspiring content marketing strategy in place, these eyes won’t stay around long enough to convert. As with any strategy, intent and focused attention are paramount. By creating a solid base of content for customers to read, watch, and interact with - you’ll create and keep customers for life. At this point you may feel like you understand what inbound is, and how inbound marketing (or content marketing) compares and contrasts with other methods of attracting leads. But there's still something that you can't quite put your finger on: how does inbound actually help you to grow your business? With so many options to market to your existing customers, and lead the search for new ones, it's more difficult than ever to attract and hold people’s attention long enough to convert them into paying customers and increase your company’s growth potential. Once you have their eyeballs on your company website, how do you convey the information you need them to have in order to make the right choice and pick you over your competitors? That’s where inbound marketing comes in. It’s about finding ways to attract customers by educating them with high-quality content. Not by selling to them. It's a way to build rapport with customers. By keeping them informed of goings on in your industry, you can better explain how keeping up with the changes enables you to better assist them. By sharing tips and tricks of the trade with them, or even by sharing the stories behind the creation of your company, you can position yourself as their trusted resource and advisor. Tell your customers why are you doing what you’re doing. Tell them how you got to the point where you realized you could help other businesses by starting your own business. The idea is to connect on a purely non-business level, then tell them how you will use that to help them solve their problems in business. Becoming this trusted resource and advisor, you position your company for leads that will generate increased revenue, which in turn fuels future growth. The title of Simon Sinek’s book says it all, “Start with Why.” This means you start your sales pitch by NOT selling anything. You start it by connecting with the people behind the business. Then work up to telling them how you can help them make their business everything you know it can be. And from there, you sell your services as the way to achieve this growth. The content itself can take many forms. A company blog is a great way to share detailed stories or updates. The myriad social media platforms connect with people when they’re looking to be entertained, so posting funny videos or pictures that draw attention to a certain aspect of your business in creative ways are a fantastic way to draw people in. Content marketing is fundamentally about educating customers; it’s also an opportunity to be creative and craft an experience that will delight them on a personal level, make them subscribe/follow you and your business, and most importantly make them customers for life. If you’re really good, they may even tell their friends! Think of content marketing as having a conversation with a potential customer. What do you want them to know about your company? What are the key pieces of information you want to be sure they have right off the bat? According to a Demand Gen report, 47% of buyers viewed 3-5 pieces of content before engaging with a company representative. Make those pieces of content count by ensuring that your offerings are full of relevant information. To become their trusted advisor for all things relating to your industry, you need to connect on this personal level. The next step in successful content marketing is to tell your customers how you, by way of your business, can solve the problems they identify in their own businesses. How do you know what these problems are? Then tell them how you can help. “Want to increase your company’s revenue stream? Here are the 4 ways we can get you the growth numbers you’re looking for.” By engaging with your customers in the comments section of your blog, or by replying to their tweets, you develop and maintain the kind of relationship people feel good about. Once you’ve identified a handful of these problems, create content that outlines how you can solve them. It’s true, creating meaningful and engaging content that will attract customers does take time and expertise. That said, the potential for sustainable growth is immeasurable. The Marketing Institute says that, “Content marketing generates over three times as many leads as outbound marketing and costs 62% less.” So content marketing brings in more customers, cheaper than traditional outbound marketing. As a bonus, your customers will see you as a trusted source of useful information, rather than as a persistent annoyance who never lets up with the sales pitches. When you’re building your content strategy, it’s important to consider what information you want your customers getting, and at which point in their relationship with your company. An important corollary is that you want to be sure to tailor your content to each platform you use. As an example, if you have an article that covers “The 5 most important things to know about xyz,” you’re going to want that on the company blog, or maybe in an email newsletter. On the other hand, if your creative department came up with some great new videos showcasing the newest widgets in your industry, think along the lines of Facebook or Twitter. Bottom line, you want your customers to use your company because they trust you. By using content marketing strategies, and by being open and honest about your company and how you can help solve their problems, you can build up that trust. This will keep your existing customers loyal, as well as help bring in new customers who got excited about working with you because someone they already trust shared your content. Now your company is growing, and in turn helping you help them grow theirs.